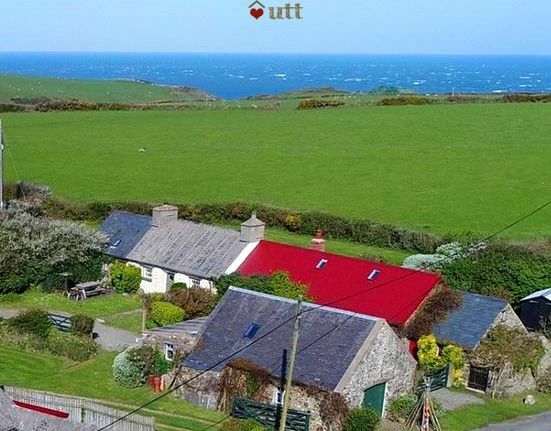 Just 300 yards from a secret cove / beach near the lighthouse on Strumble Head in Pembrokeshire, this traditional Pembrokeshire holiday cottage has plenty of space for all the family in the Pembrokeshire Coast National Park. 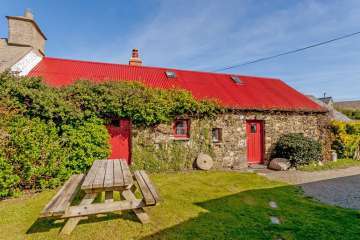 Named No.1 in The Independent newspaper's Top 5 Coastal Cottage Retreats! 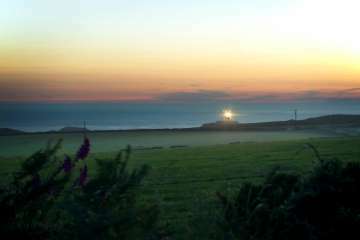 Bwthyn Tresinwen enjoys an enviable and peaceful position near the famous lighthouse on Ynys Meicl. 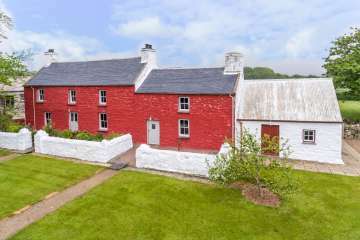 This semi-detached Pembrokeshire cottage doesn't have sea views but you catch glimpses from the garden, or a 5-minute walk down to Porthsychan cove. A treat for anyone who enjoys coastal walking (some of the best in the UK), spotting wildlife (seals, dolphins, seabirds, whales if lucky), and relaxing in beautiful surroundings or by an open fire. Great for families. 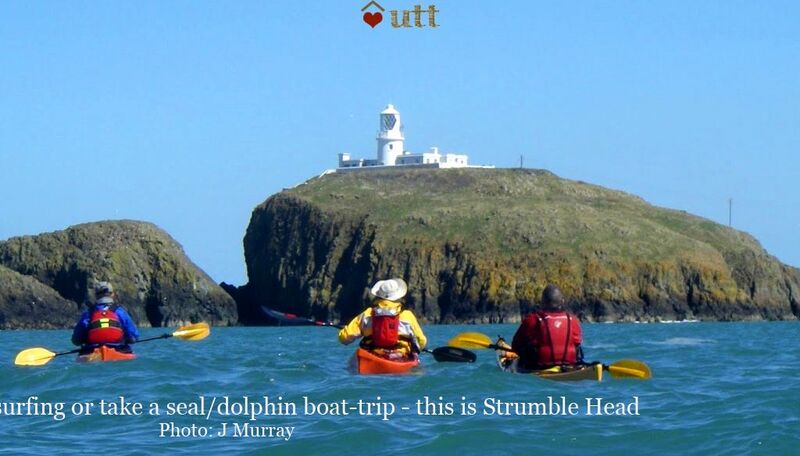 There is a Strumble Shuttle (404) from Fishguard which stops fairly nearby (Google 'Strumble shuttle' for timetables), but the only trains to Fishguard are twice a day to the ferry terminal (Fishguard Harbour) arriving at 13.15 and, less helpfully, 01.26! There are plenty of trains to Haverfordwest and buses from there to Fishguard. 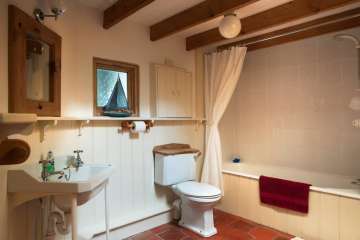 The cottage can sleep 8, though as it has just one large bathroom we consider it as suitable only for 6 adults maximum. 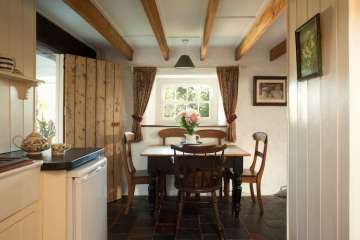 The cottage is centrally heated throughout. 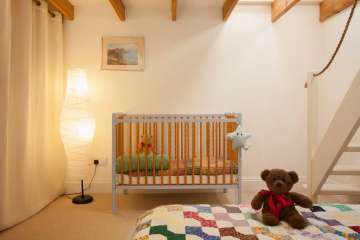 There is a cot and high chair available at the property. Cegin Fach: Modern kitchen with everything you'd expect. 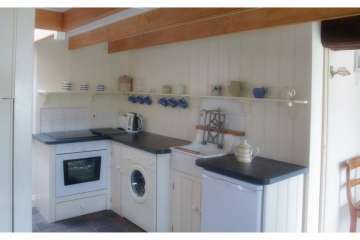 Slate worksurfaces, Belfast sink, electric cooker, washing machine and microwave. Dining table with views. Cegin Fawr: An open fire makes the main lounge snug. You can be traditional and use the fireside settles, or opt for a comfortable modern sofa. CD radio/ stereo. Television (Freeview). Books, toys and DVDs for children. Master Bedroom: Large room with cast iron Victorian double bedstead and 'chaise lounge', just a couple of steps from the bathroom. 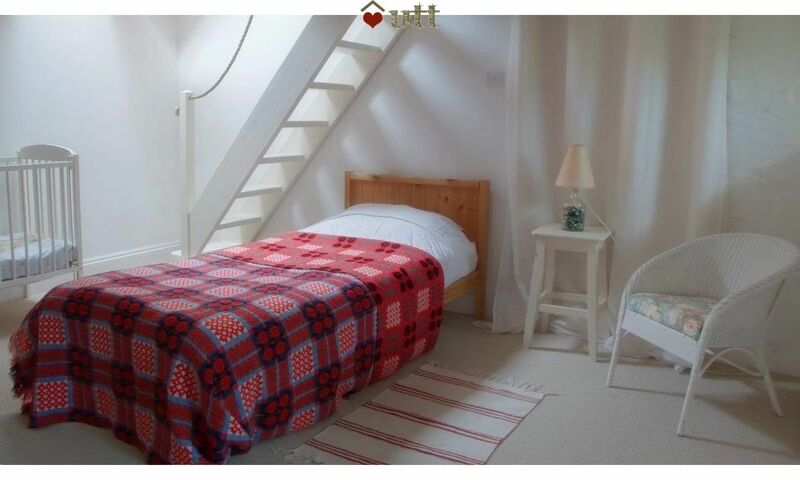 Bedroom 2: A large single bedroom with views to the front, and steepish steps up to bedroom 3. Bathroom: A large family bathroom with some nice antique sanitaryware. Bath with shower over. Towels provided. 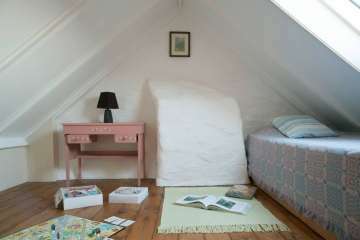 Bedroom 3 is a fairly small single loft room directly off bedroom 2 below. Probably best for a child. Lit by skylights with views. Bedroom 4 is the largest bedroom and has a double bed and two singles. 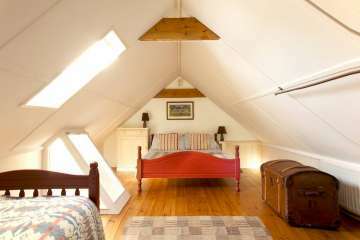 Lit by skylights with views. Pretty garden and lawn to the front. Garden furniture. 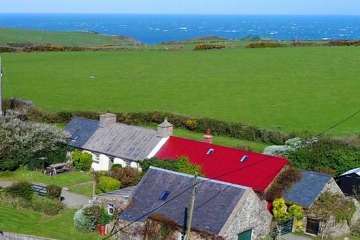 Large secluded lawn area to rear where you can relax and enjoy the fine views, listening to see if you can hear the sea. 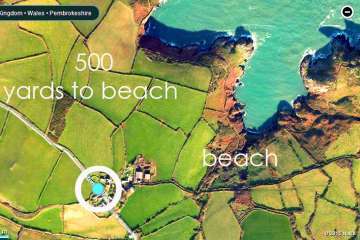 Parrog beach near Fishguard, North Pembrokeshire..
Bwthyn has been lovingly renovated and is in a small hamlet of mainly similar period cottages right out on Strumble Head. 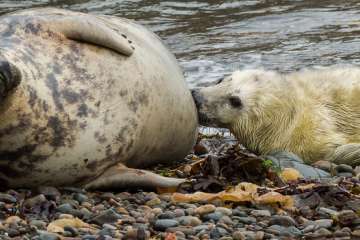 There are clifftop walks in both directions along the Pembrokeshire Coastal path and, if you're lucky, seals in the cove. Even in January there is plenty to keep you interested, fed and occupied in the area. Thoroughly recommended. 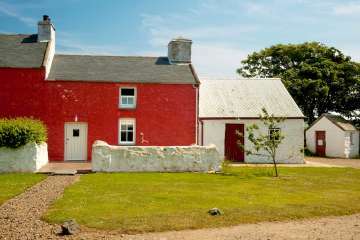 A lovely stay in West Wales. The cottage is in a cluster of farm cottages . Nice and cosy. 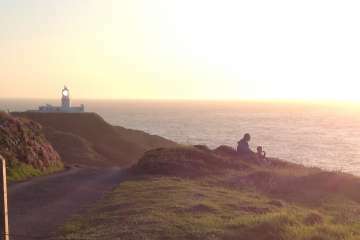 A stroll through the lane to Strumble Head lighthouse or along the coastal path. 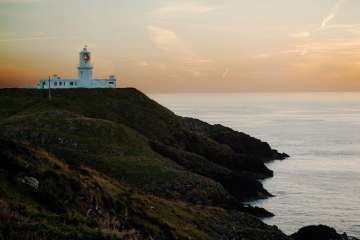 A drive in to Fishguard but we had a great time during our weekend. 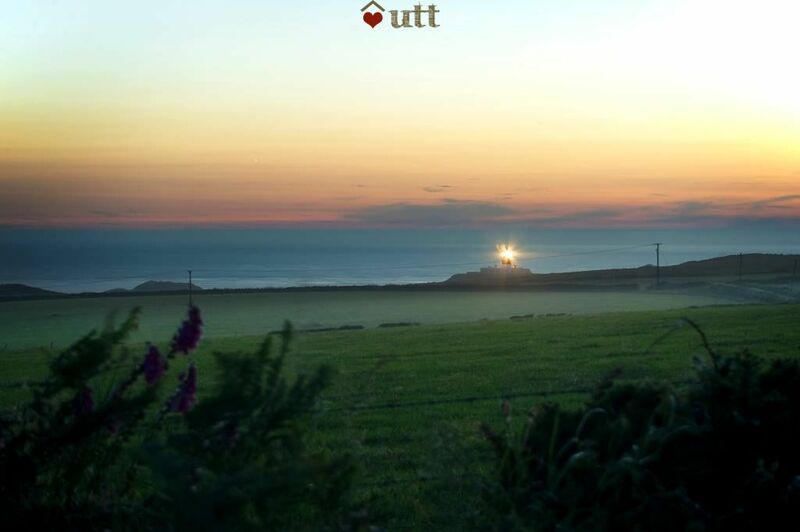 The best thing about the cottage is it’s location just a very short walk from the coastal pathway. We had some memorable walks right from the door and saw seals everyday in the little cove nearby. The lighthouse at night was very special. The cottage itself is very attractive but needs a little re-thinking to truly cater for the maximum number of people it can accommodate. A party of five would be fine but anymore becomes a challenge in terms of there not being enough chairs, big enough saucepans or fridge space. 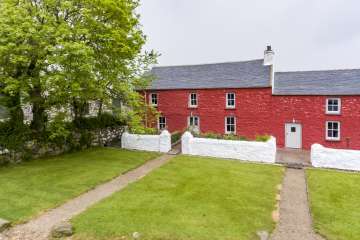 However it is wonderfully peaceful despite being semidetached to another holiday let and in close proximity to two others and we were outdoors all day every day in the stunning surroundings. 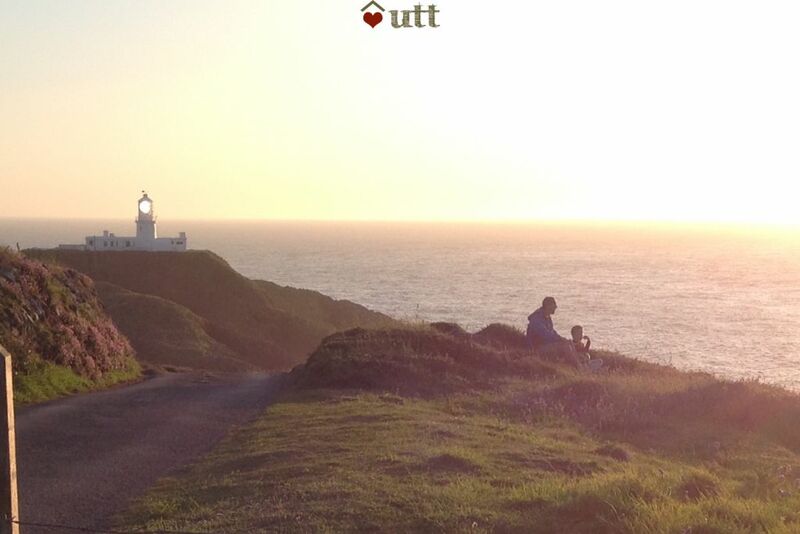 Would happily recommend for location and feel of the place. 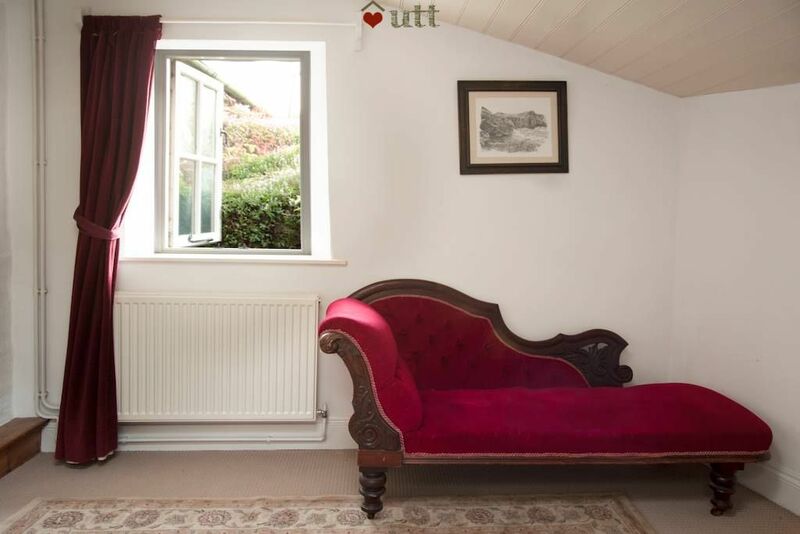 We loved this cottage, snuggled in a hamlet with a lovely sheltered garden. 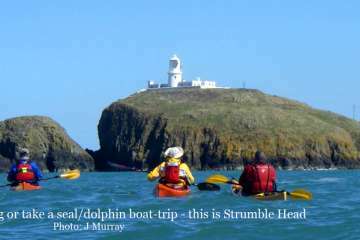 We had an action-packed holiday, Kayaking with Kayak king in Fishguard (lots of seals), horse riding at the local stables, obviously great coastal walks, and lovely food at Rose & Crown. The jazz festival was impressive and friendly too. Liked St Davids and Cardigan, and St Dogmaels pottery. 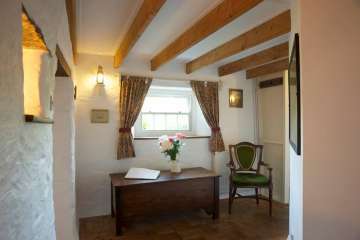 We had a wonderful stay at this very cosy cottage. A lovely location with a short walk down to a quiet cove which was perfect for children. We loved exploring the local area including the lighthouse and ancient forts. The cottage has everything we needed and was very peaceful. We plan to return again. Thank you. We had a wonderful time in this cosy cottage. It was in a beautiful location and we loved exploring the nearby seal cove and walking on the coastal path. 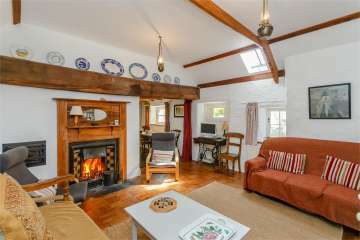 The cottage itself was just right for a family: enough space, all the amenities you'd want and a lovely real fire that we lit every night! Great! 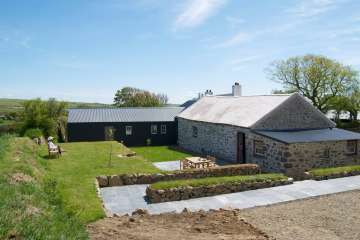 We had a truly cosy and relaxing stay at Bwthyn Tresinwen. We loved how higgledy-piggledy it is and were so surprised how warm it was. 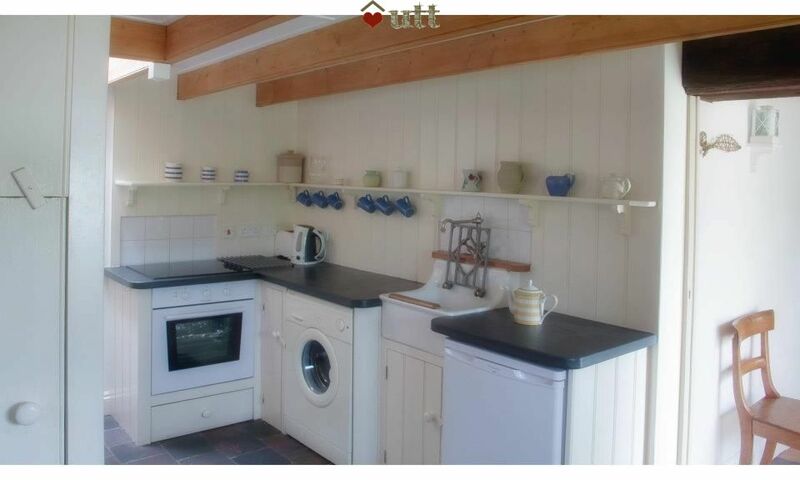 Plenty of kitchen equipment and lots of space. 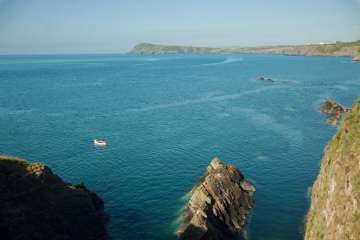 We had some lovely walks along the coastline and can highly recommend The Bug Farm near St Davids! Excellent. The open fire and cosy lounge were a real treat to come back to. Great stay and location - fully recommend. Lovely cottage in a beautiful location, great for walking & wildlife. 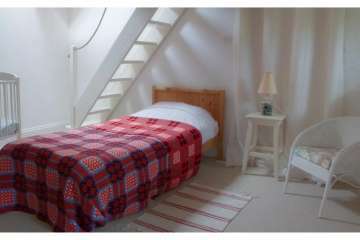 Really quiet & pretty comfortable - a great place to take a rest & get away from it all. Wonderful time in Pembrokeshire. Beautiful house, wonderful views and perfect weather! Can't wait to come back. Thank you so much. Had a fantastic time. Cottage had everything we needed and the location was even better than we could imagine. We saw seals and dolphins from the coastal path and had trips to different secluded beaches. All great for children with toilets and good facilities. 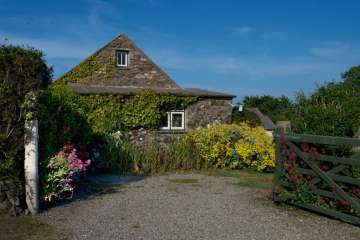 The cottage is away from it all but you are never far away from civilisation. We will definitely like to return and recommend to friends. Bwthyn Tresinwen will forever stay in our memories as it was where our three year old son first saw seals swim in their natural habitat, in a nearby secret cove. 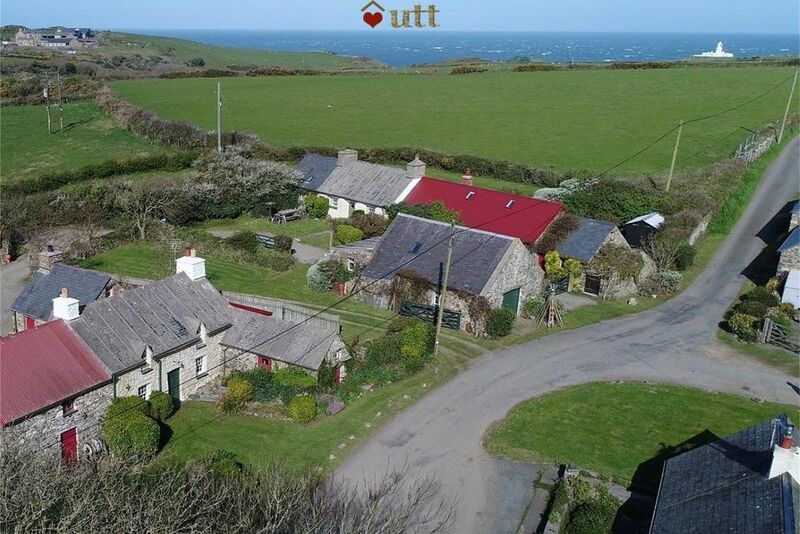 If you're looking for a home-from-home, set in spectacular surroundings then this is the place for you. We'll certainly be making a return visit, very soon. 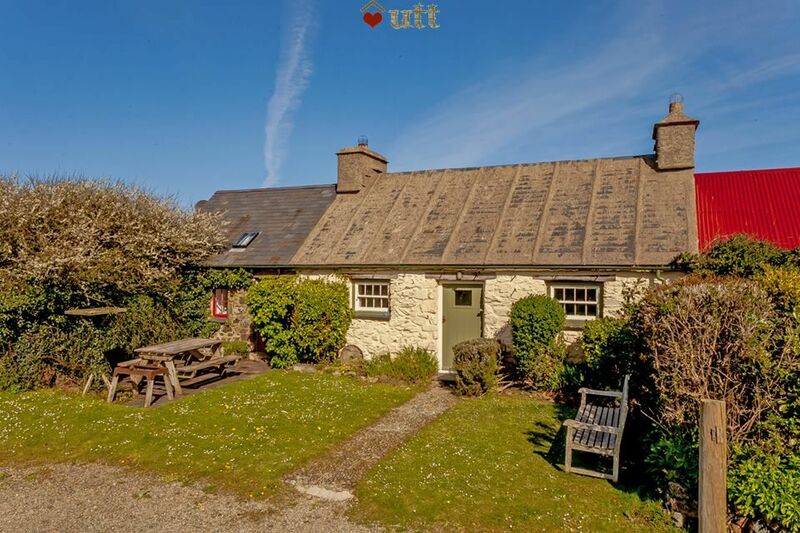 Fab cottage.. Beautifully laid out, plenty of space for the 7 of us. Blessed with gorgeous weather so had plenty of long walks and days by the beach. Would def love to return.. Our sons, 11,11 and 8 all had a lovely time. 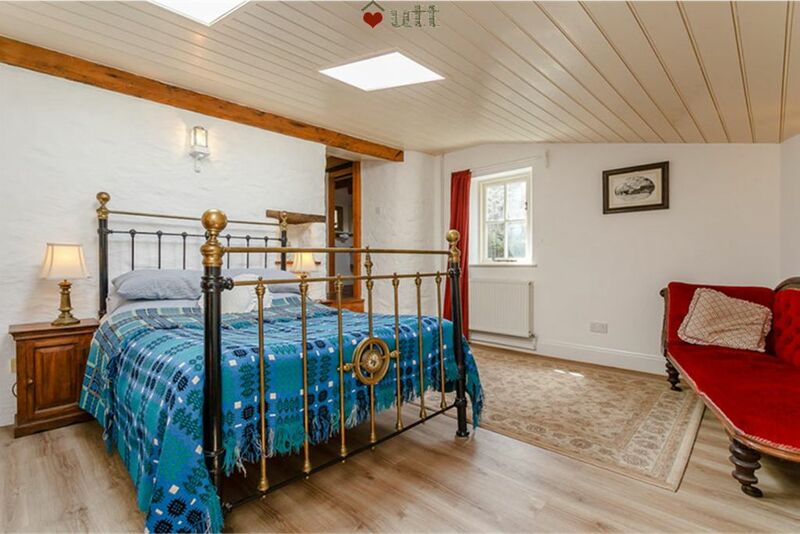 This cottage was absolutely beautiful. 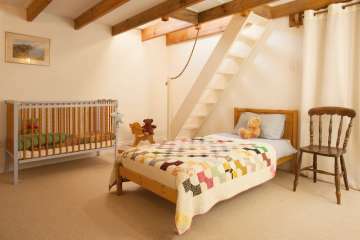 The children were spoilt for choice in terms of which bedrooms they slept in. The open fire was a real treat and the children toasted marshmallows on it every evening. 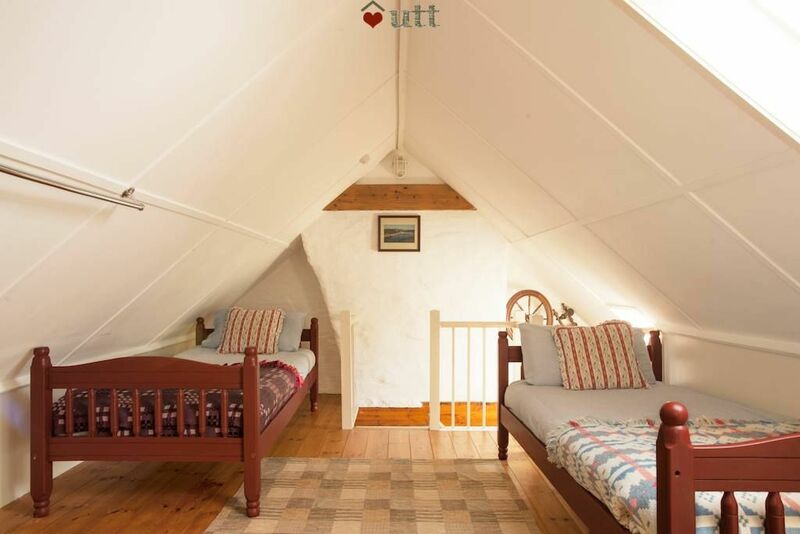 The cottage was warm, cosy and well equipped and incredibly peaceful. It was close to a beach and lots of interesting walks. We would all thoroughly recommend it.